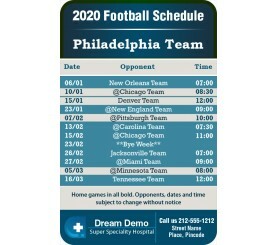 Custom 3.5 x 2.25 inch one team Philadelphia Team football schedule laminated super specialty hospital wallet magnets are being largely employed by super specialty hospitals for branding. As most of these hospitals are well-known and are also frequented by people in time of emergencies. 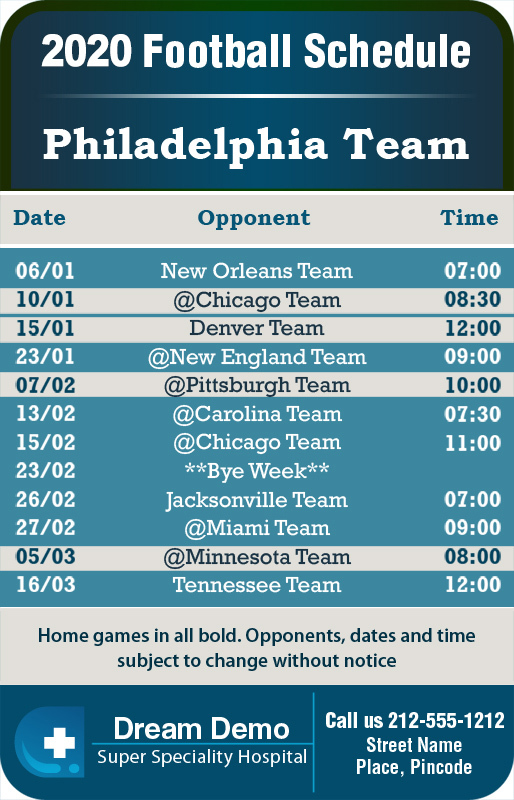 By gifting these magnets these hospitals are trying to improve their relative value amongst Philadelphians. It is definite that people will retain it as a sports reference token during the season and a fridge art, sports memoir and a business card after season gets over. Product Size : 2.25 in. x 3.5 in.